I've finally bought something off my wish list that I've wanted for so long! I couldn't decided which kit to go for so I went for the travel kit. You get a little bit of everything in it and I though well what better way to try out the brand? Gold brush - Is the essential foundation brush: Build flawless customer coverage with liquid foundation or concealer. Purple brush - Is the domed shadow brush: Tapered design smoothly shades and defines eyes. Pink Brush - Multi task brush: for effortless application of powder, blush and bronzer. for just £16.99 - free delivery. It comes in a panoramic case that you can have wrapped up or stood up. perfect for travelling or standing on your beauty table at home. I'm so glad I've purchased this make up brush kit! I've never had brushes so soft in my life. 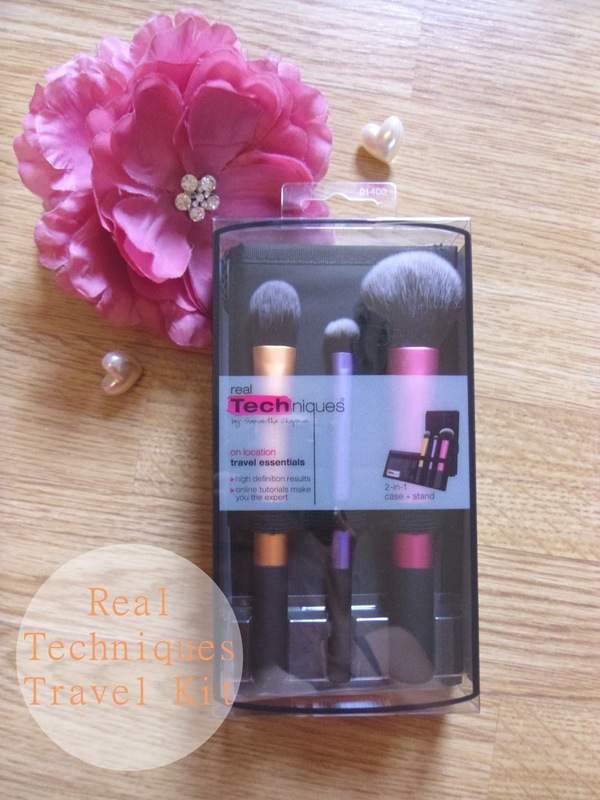 Do you own any of the Real Techniques kit's? Oh and a big apology to my blogger followers, since changing my blog name my post's haven't been appearing. So a big thank you to all those that have re-followed! Sorry to be such a pain (there's only me that could do it) haha! If you haven't done it already then if you could please? I'd be very grateful. Thank you! I love these brushes ! do you have any of their collections? I've used them for the first time today, I'm in love! Ooo I really want to try some RT brushes, I'm pretty hooked on my crown brushes but these looks lovely! I defo want to get my hands on the buffing brush! So gutted I missed the Superdrug buy one get one free the other week for RT brushes. Honestly though these are amazing! So glad I got them. I'll definitely be purchasing some more. very good and useful kit! i have the stippling brush, but i really want to get more! next on my list is the expert face brush because everyone absolutely raves about it, but i can't decide whether i want this kit or the other one! Yeah I've checked that out this morning after your comment.. It look's well good! New item to be added to the wishlist! I love my real techniques brushes, but i don't have this set i could really do with the shadow and multi tasker brush!